Bette, I hope your 2018 is off to a fantastic start. Hugs. Bette, wishing you smooth trails and day filled with the warmth that brings butterflies. That’s a lovely wish … monarchs are beautiful. What ARE we doing that so many beauteous creatures are endangered on our watch? Beautiful blessing. And I send it too you, also, with a hug. Wishing you a blessed 2018. I love your poem with its words of beauty and love. Thank you. <3 New Year blessings! Happy New Year, Bette! Keeping the Monarchs in mind as I plant and prune each year! A beautiful message, Bette. Happy New Year. Love the poem. Happy New Year, Bette! Thank you Bette for wishing in this poetic way…You too and yours are wished the best of the world, good health and happiness throughout 2018 and beyond. 🙂 Love and New year hugs. Happy New Year!! Sweet poem. I love that about Haiku–so much said in so few words. My favorite book is hard to chose but ‘Dog Bone Soup’ is closest to my heart. Love you! Thank you, Bette! I’d love to have a butterfly year! I see there is a nor’easter bearing down on Maine. Stay safe and warm! Happy new Year! Happy New Year, all the best for 2018. 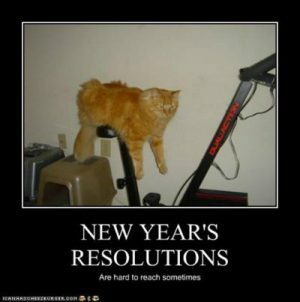 Stay safe – and remember, New Year’s resolutions are sometimes hard to reach! Thanks so much and wishing the same for you! Always at your service, dear Bette! Same here! Best wishes to you too, Bette, for a joyous and prosperous New Year! Happy New Year, Bette. Wishing you all the best for 2018. And I had no idea Monarchs were nearing endangerment. They are beautiful, but like the firefly, I do see less and less of them each year.